MONDAY, SEPTEMBER 10, 2012 – LOS ANGELES, CALIFORNIA – F.A.M. 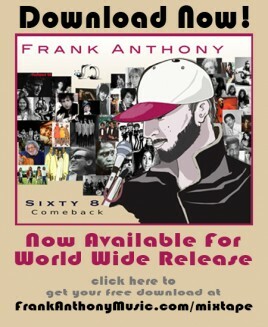 Productions Inc and Singleton Entertainment Corp announced today that the much anticipated Mix Tape release by Frank Anthony, “Sixty8 Comeback”, will be available for download on Monday, September 10, 2012 on www.frankanthonymusic.com. This release highlights some classic vibes from 1968 and leading to the explosive energy heard in mainstream Hip Hop and R&B sounds of today. According to the Toronto native, “I have been waiting for this day to release this Mix Tape to my fans for several weeks now. I am happy with the end result of Sixty8 Comeback and I’m looking forward to hearing the feedback from my fans. I really appreciate their patience and I hope they enjoy the music as much as I enjoyed making it for them,” says Frank Anthony. “Sixty8 Comeback” is an amazingly soulful Mix Tape, blending the sounds and nostalgic feel of old school R&B with a fresh youthful take no prisoners Frank Anthony sound. The project features songs like the romantic “I Don’t Deserve You” to the raw club bangers like “Live in My Bed” featuring Kendrick Lamar. The Mix Tape is an introductory showcase of Frank Anthony the singer, songwriter and passionate artist who has a lot to say as he steps out on to the world stage. The release of “Sixty8 Comeback” is sure to generate a strong buzz with his fans, music lovers and all those who love mainstream R&B and Hip Hop music. The Mix Tape will also spotlight Frank as an extraordinary force in pop music around the world and showcase Frank Anthony as a triple threat – singer, songwriter and musician. According to Uche Lord Eme, A&R at Singleton Entertainment Corp, “You are going to want to rock out to Frank Anthony’s new Mix Tape.” Each of the songs on “Sixty8 Comeback” has been produced by stellar platinum producers like Poo Bear, The Audibles, The Underdogs, Scott Storch, Dwayne “D’Cat” Cornelius and Adam & Uche. 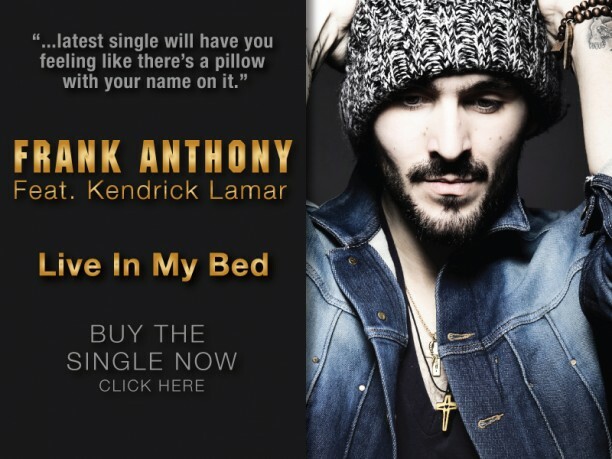 For information on Frank Anthony, contact Singleton Entertainment Corp at 818-774-0818. July 11, 2012 – MISSISSAUGA, ONTARIO – Singleton Entertainment Corporation announced today that the Frank Anthony music project “Sixty8 Comeback”, is on target for the scheduled release on July 24, 2012. The Mixtape will be available for download on Frank Anthony’s website www.FrankAnthonyMusic.com. This release highlights some classic vibes from ‘68 and other years leading to the explosive energy heard in mainstream Hip Hop and R&B sounds of 2012. 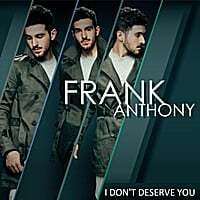 Hailing from Toronto Canada, singer-songwriter Frank Anthony has quietly built a global audience of fans who love his music. “Music has been a part of my life as far back as I can remember,” says Anthony, “my father’s love and passion for music (a singer and performer himself) exposed me to a wide variety of music from all genres. Growing up in the 90’s got me hooked on Hip Hop and R&B, which are the influences in my music today. I am also a big fan of that 50’s sound and Italian greats like Pavarotti, Dalla and Ramazotti.” Frank’s Italian heritage has also found the young artist a growing fan base in Italy.